Students will identify shapes in their surroundings and reference photos, and use those shapes to construct their own landscape paintings. Step One (Introduction): Introduce students to the landscape works of the Impressionists, such as Pissarro, Monet, Sisley and Cezanne. Give students the opportunity to observe about how Cezanne’s work differs from that of the other artists. Guide the students in understanding that while Cezanne worked at the same time as the impressionists (and often painted with Pissarro), his work went in a different direction. Rather than merely painting what he saw in front of him, he sought to paint the arrangement of shapes he saw in nature, with the goal of bringing those shapes into a harmonious arrangement. Step Two (Presentation of painting method): At this point, you may choose to bring students outdoors with their sketching materials to observe directly from nature (if applicable) or to use reference photos of landscapes that include trees, mountains, lakes, etc. (the occasional man-made object can be included as well, so long as it is not the focus of the picture). Working either from direct observation or reference photos, guide students in reducing the scenes they are looking at to basic shapes, such as cylinders (trees), cones (mountains), spheres (rounded bushes, rocks), or prisms and cubes (buildings). Once you guide students in sketching the basic shapes, students should create sketches in which the shapes are arranged into strong compositions. 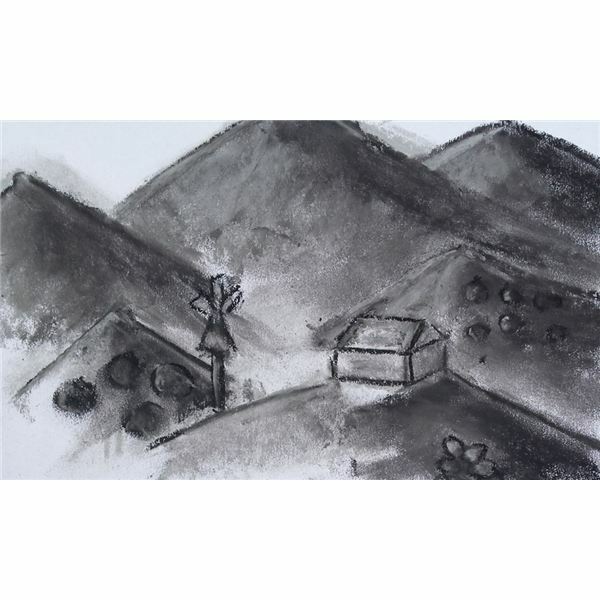 Sketches should resemble the surroundings, but students do not have to be “slaves" to the details of the landscapes they are using as references. Composition tip: Students should be encouraged to use overlapping shapes to create depth in their pieces. Step Three (Creating the final paintings): Once students feel comfortable with their compositions, they should feel free to begin sketching them on larger paper for painting. Sketches should focus first on shape, with lights and darks (values) added in next. Although Cezanne was no stranger to color, for this activity the color schemes should be somewhat muted, so that the shapes remain the focus of the works. Values should also be middle ranges, so there are not areas of extreme light or dark—Cezanne was known for the “flat depth" in his landscapes. Students should also be reminded that warm colors come forward, and cool colors recede. 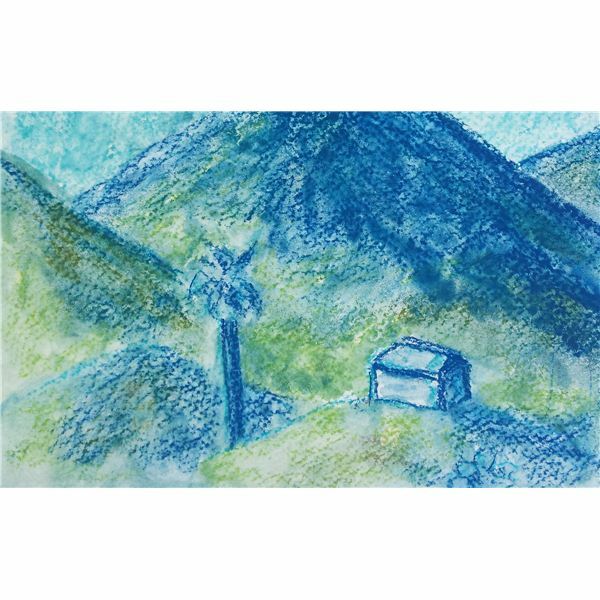 Using taped-down watercolor paper, students can sketch their work with dry pastels, which can be brushed with water and blotted with paper towels to lift out lights. Once the wet painting has dried, students can use dry pastel to add final touches of color to emphasize the forms in the painting. This method may be helpful for students who have not spent much time with watercolor or acrylic paints. Once paintings are complete, students should be encouraged to display them in the room for discussion, as you point out the influences of geometric forms and their arrangements into motifs for other students to appreciate. Students should be assessed according to the strength of the use of shapes as dominant features of their landscape paintings. Paul Cezanne often featured the same mountain in many of his paintings (Mont Sainte-Victoire). You may want to spend a week (or more) encouraging students to paint a particular geographical feature from different angles, so they can see the results of focusing on one subject over several different paintings—they will likely see that their observational and painting skills will improve after the series of paintings is complete!